Mac? Windows? OS X 10.10? Touchscreen? 1080p? USB 3.1? Thunderbolt? What is all of this? Computers nowadays come in all shapes and sizes. We can help you pick out the perfect computer, whether you are getting your first computer or if already have one. With recent advancements in the tech world, the floppy disk in your Windows 98 IBM computer is as old as the dinosaurs. Let us help you move (back) into the digital age. We'll find you the perfect computer for you after asking a variety of questions, such as how much you're looking to spend, features you need, features you'd like, your preferred operating system, computer brand, and more. This over the phone or in-home appointment includes an hour of consultation plus additional research from your iTech representative, based on your specifications, to find computers and accessories that meet your exact needs. The components of a computer - including the processor, hard drive, memory, and battery - ultimately determine the price of a computer. Some manufacturers offer computers for as little as $149. High-end computers can cost over $2000; these, however, tend to come with everything you need (and then some). Your iTech representative will go over your different options either during or after your appointment. Do I have purchase a recommended computer? No. By booking an appointment for this service, you are not obligated to make a purchase! iTech does not receive any compensation for promoting certain models or manufacturers, so you'll get unbiased opinions for all of your technology needs. Do I need to have a computer right now? What about technical knowledge? No! If you're looking to get your first computer, we can find one that's user-friendly, reliable, and at a price point that's right for you. 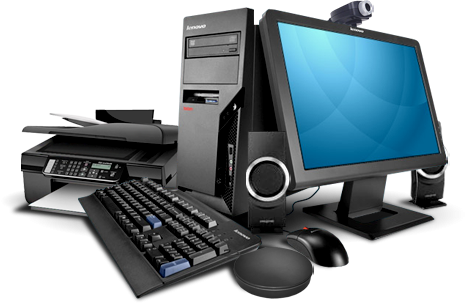 We also offer lessons for a wide range of computer skills, which you can make an appointment for after you get your new system. Based on previous appointments, the average price for this service is $30.00.